Radha tastes butter and feeds it to Krishna. Krishna opens eyes and sits. Radha and everyone around get happy seeing him healthy again. Krishna walks to Yashoda who asks how is he and he says when her and everyone’s love is with him, how can anything happen to him. He hugs Nand, Balram, and Vrishbhan who thanks Narayan for returning Krishna’s life. Krishna tells Radha that everyone is thanking Narayan and he is thanking Radha for saving his life. Radha smiles. Krishna coughs. Radha asks if he needs water. He says he needs butter. She happily extends her hand to feed him butter when Chandravali enters and asks how is he. He says he is fine and Radha cured him. She says she informed Radha how to cure him. He says then 50% credit should to her, in fact 100% credit should go to him. Radha gets jealous and returns to her cart. Balram asks Krishna what happened to Radha. Krishna says jealous has not left her yet and he has to start second phase of freeing her from jealousy. Akroor informs Kans that Krishna got well before reaching Mathura, so he is returning back to Vrindavan. Kans angrily thrusts his black magical weapon kaal yantra into ground. Devaki taunts him that even kaal yantra cannot stop his kaal/end. Kans angrily shouts what if he kills her and raises kaal yantra to behead her. Vasudev shouts no.. Krishna raises hand noticing it and thinks Kans mama cannot dare harm his mother, his end is nearing soon. Kans tries hard but fails to even move his hand. Devaki laughs on him that he cannot do anything. Back home, Yashoda insists Krishna have kadha/herbal concoction and he runs away. Chandravali asks him to maa. Radha gets more jealous hearing Chandravali calling Yashoda as maa. Yashoda twists Krishna’s ears and feeds him kadha. Vrishbhan announces that Shivratri is coming and as usual for Shiv pooja, Radha will make shivling from river soil. Kirtida says this time they should give a chance to their guests Vrindavan. Yashoda says her Krishna will make shivling then. Krishna says he needs someone’s help. Radha walks in front and thinks now Chandravali will know whom Krishna loves. Krishna says Kirtida aunty told they should give a chance to guest, so Chandravali will help him in making shivling. Radha gets more jealous. In Kailash, Mahadev sees Gowri ji tensed and asks reason. She says Krishna loves Radha so much, but she is burning in jealousy and harming herself and even krishna. On the other side, Radha returns home and packs Chandravali’s clothes. Chandravali asks what is she doing. Radha says she cannot stay here now. Chandravali says wants to stay here till holi. Radha insists she cannot and says she is saving her from Krishna’s wickedness. Chandravali says she sees jealousy in Radha and it is ruining her love for Krishna. She admits that loves Krishna and there is no place for jealousy in love. Krishna gives moral gyaan with a story that a blind person went to temple to see god and people laughed on him that a blind person must have come to complain god about his ill fate and to return his eyesight. Blind person says he is blind but not ill fated as Mahadev is watching him; similarly one should also not lose hope and be positive in life. Precap: Krishna sees Mahadev on earth and asks why he is meditating on earth instead of kailash. Mahadev says shivratri is coming. Krishna introduces Mahadev to Radha as Batuknath. 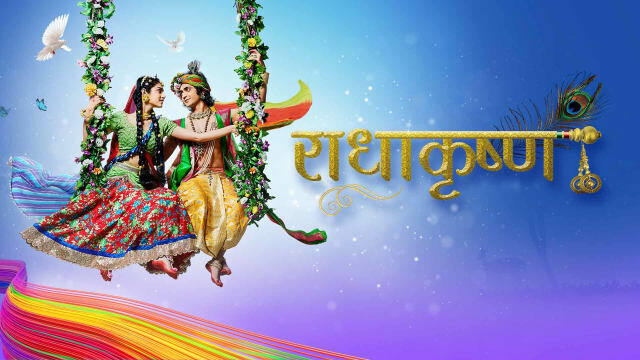 The post RadhaKrishn 4th March 2019 Written Episode Update: Radha Challenges Krishna appeared first on Telly Updates.